Can the other tea obsessed people in the room please raise their cups? My name is Emily, and I’m a tea addict. And I’m really not sorry about it. So I thought it would be a fun to tell the story of my day in tea. A cup of tea for me just makes whatever I’m doing just that little bit more special and relaxed. I’m pretty sure that’s just part of being English though. Making a lovely cup of loose leaf tea is one of my favourite parts of my day, and in the name of self love, I do this every damn day. Starting with breakfast. Of course my day starts with a lovely brew of something black. 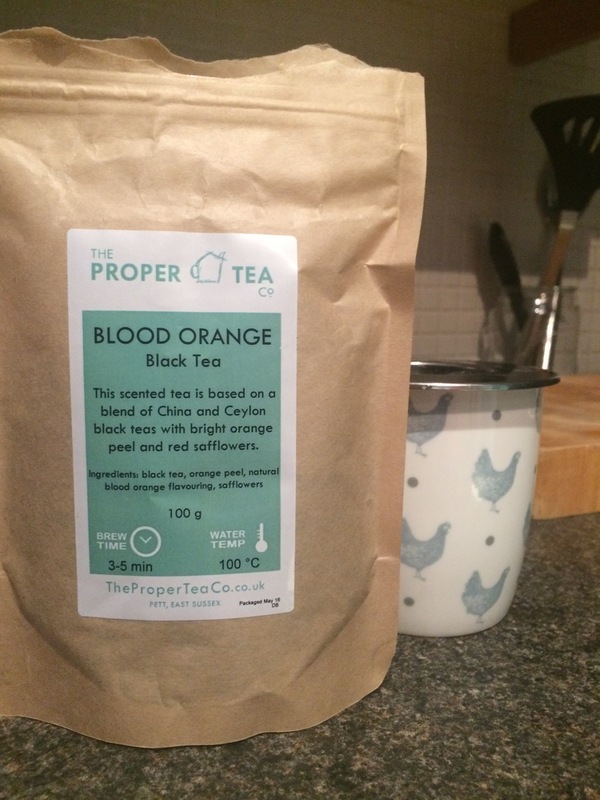 It’s always either a coconut or blood orange black tea from The Proper Tea Co. Today I went for blood orange as I fancied something fruity. It’s so relaxing sitting down with your morning cuppa before getting on the treadmill of the day. Breakfast is (when I remember) overnight oats, or cereal with almond milk. I try to stay away from cows milk as it gives me stomach pains. Mid morning in the office is always eased by a cup of Earl Grey tea, (and a home baked cupcake.. This one was a banana and chocolate cupcake that I baked yesterday.) I love how refreshing the citrus notes are in a good Earl Grey, and I find it’s a perfect antidote to the mid morning slump. I try to limit my caffeine intake post lunch, and definitely don’t drink any after about 2.30 as I don’t want to damage the quality of my sleep that night. So afternoon cups of tea are usually something herbal. 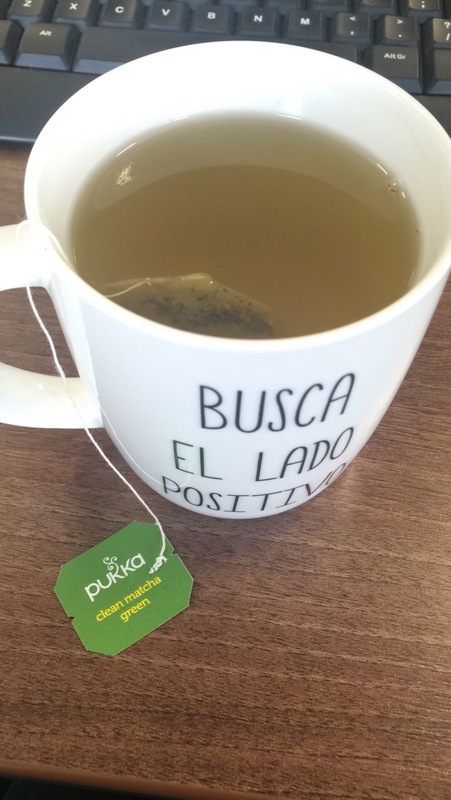 Today’s choice was the Clean Matcha Green, from Pukka which has a really nice lemony/licorice taste. (Even though I’m not a fan of licorice sweets, I really enjoy licorice tea.) It also helps ward off any more cravings for sweets or chocolate and gets me through the afternoon in the office. Like I mentioned above, I avoid caffeine in the afternoons and evenings, so cups of tea in the evening are again, normally something herbal. 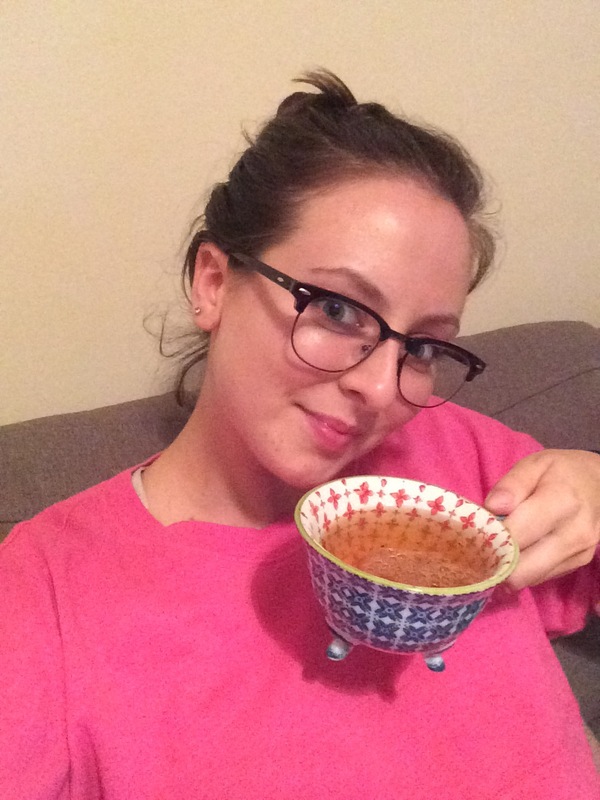 I’ve been really loving the Turmeric Gold tea from The Proper Tea Co. It’s a really nice warming tea that is perfect to snuggle up on the sofa watching TV or reading a book with. And that takes me through to bed time. where I sleep and dream about my morning cup of tea. Drink tea, eat, sleep, repeat.